DIPLOMACY | FOCUS: WHY ARE EMERGING MARKETS HOSTING MORE? Retail is no exception when it comes to the strength and benefits of Dubai as a dynamic, active market. TBY talks to Patrick Chalhoub, CEO of Chalhoub Group, on e-commerce, new consumer behaviors, and signs of optimism in retail despite VAT implementation. TBY talks to Colm McLoughlin, Executive Vice Chairman &amp; CEO of Dubai Duty Free (DDF), on recent accomplishments, sports sponsorship, and the impact of e-commerce. Optimism in Dubai's hospitality sector abounds with the run up to Expo 2020, significant government support, and effective branding. TBY talks to Mohammed Abdul Rahim Al Fahim, Group CEO of Paris Gallery Group on e-commerce plan. Dubai has been at the forefront of the Emirates' efforts to make soft power a staying one in the UAE's diplomatic arsenal. But culture is hardly the only thing it is exporting: its expertise in governance is fast becoming a hot commodity across the Arab world as well. TBY talks to Juan Carlos Varela, President of Panama, on the country's diplomatic footprint, the importance of participating in Expo 2020, and both countries' respective leadership roles as regional entrepôts. Not only are trade and tourism between island nations and the UAE increasing, but the former have a thing or two to teach the latter as well. For young and dynamic populations living on vast under-farmed arable tracts of land, the technology and capital transfers from the UAE are spurring real growth and development in Africa. Throughout the 21st century, China's ties with the UAE, and Dubai in particular, have strengthened in various fields. Since Beijing and the UAE established a diplomatic partnership in 1984, both have become major economic partners, and the bilateral relationship is well poised to flourish in the future. Dubai will shortly host the world in a trade fair that will demonstrate its economic prowess across a broad swath of economic sectors. 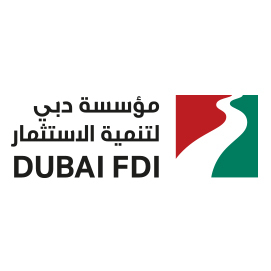 TBY talks to Fahad Al Gergawi, CEO of the Dubai Investment Development Agency (Dubai FDI), on investor service innovation, the Dubai technology advantage, and the future of FDI. TBY talks to Hamad Buamim, President &amp; CEO of Dubai Chamber of Commerce and Industry, on expanding UAE firms' global footprint, developing capabilities in emerging sectors, and becoming one of the world's smartest cities. The country's largest trading partners are not content to merely facilitate their own trade with the UAE, but also to export Emirati expertise and capital to their lands as well. TBY talks to Najeeb Mohammed Al-Ali, Executive Director of the Dubai Expo 2020 Bureau, on being the most inclusive World Expo, supplying 50% of its energy usage from renewable sources, and laying the groundwork for its legacy. TBY talks to Khalfan Juma Belhoul, CEO of Dubai Future Foundation (DFF), on the role and mission of the organization, Dubai 10X, and 3D printing. Encouraged by transparent regulations, access to capital, stellar infrastructure, and first-rate business practices, many firms are finding it easier than ever before to change industries. TBY talks to Gautam Sashittal, CEO of Dubai Multi Commodities Centre (DMCC), on evolving continuously, enhancing customer service, and going the extra mile to support SMEs. TBY talks to Dr. Mohammed Al Zarooni, Director General of Dubai Airport Free Zone Authority (DAFZA), on having an environment conducive to business, investment, and innovation, helping SMEs increase their collaboration with public and private entities, and creating smart, digital, and innovation-driven economies. TBY talks to Ashraf Gamal El Din, CEO of Hawkamah, on encouraging companies to understand government regulations, helping women become effective board members, and incentivizing transparency. Real wages are projected to increase in 2018, a positive indicator of continued economic recovery that should help Dubai see increased economic activity even with the arrival of a new VAT. Firms are leveraging their success in a robust but unpredictable domestic market to excel just as much abroad. TBY talks to Mohammed Khammas, CEO of Al Ahli Holding Group (AAHG), on the importance of e-commerce, migration from digital to reality, and building a unique ecosystem. Ever the leader in innovation, Dubai has set out an ambitious green transformation plan that it hopes will make it the city with the world's smallest carbon footprint. Though competition is fierce and the local market not yet profitable, the appetite for solar, and the public policies needed to ensure its permanence on the scene, are in place. Whether through local firms' keen awareness of best international practices or progressive policies already being pursued at home, firms in Dubai are racing to make the Emirate far more sustainable by 2021. The region's smartest firms are harvesting the best technologies to give their clients an edge, but also working hard to ensure these same technologies do not undermine them either. With its dedication to environmental sustainability and burgeoning financial center, Dubai is poised to emerge as a center for green bonds and sukuks. TBY talks to, Stephane le Gentil, CEO, Clean Energy Business Council (CEBC), on the green economy sector. The Emirate of Dubai's well-diversified economy rests on a financial universe both sufficiently strong and regulated to bear the rigors of hub status. TBY talks to Peter England CEO, RAKBANK on SME lending and financial education in the UAE. TBY talks to Michael P. Grifferty President, The Gulf Bond and Sukuk Association (GBSA) on the challenges in the region. TBY talks to Dr. Adnan Chilwan, Group CEO of Dubai Islamic Bank (DIB), on the bank's transformation into a regional powerhouse, Dubai's support for the development of Islamic banking, and its ambitious growth plans. TBY talks to Abdul Aziz Al Ghurair, CEO of Mashreq Bank, on launching the UAE's first full-fledged digital bank, Dubai's potential as a Fintech hub, and international expansion. TBY talks to Dr. Bernd van Linder, CEO of Commercial Bank of Dubai (CBD), on the bank's contribution to the growth of Dubai, its efforts to go fully digital, and the importance of banks partnering with fintechs. TBY talks to Ian Johnston, CEO of Dubai Financial Services Authority (DFSA), on its approach to encouraging the development of fintech, its innovative regulatory sandbox, and new crowdfunding rules. Fintech is well poised to be Dubai's key sector, and the Emirate needs to look into bringing the fintech and broader financial industry together to start collaborations to reap the most benefits. Dubai has always been a strong advocate of technology adoption through its forward-looking strategies and state-of-the art infrastructure. TBY talks to Hamed Ali, CEO of Nasdaq Dubai, on its expertise in listing companies, growing demand for REITS, and its derivatives platform. Moving forward, innovation and developments in technology will be crucial for exchanges that seek to give their customers greater security and convenience. TBY talks to Jose Diego Manzanera, CEO of Gulf Business Consulting, on its focus on technology and innovation, role as a bridge between the government and foreign companies, and opportunities in Dubai. With the UAE insurance market estimated to reach USD18 billion by 2021, the opportunities in the sector are boundless. TBY talks to Mohammad Al Hawari, Executive Board Member &amp; Managing Director of Takaful Emarat, on its innovative uses of blockchain, its extensive efforts to digitalize its offerings, and the changing face of the sector. Insuretech, or rather technology that is disrupting the insurance space, is a significant driver of insurance sector growth in a country and region with notoriously low penetration rates. TBY talks to Mustafa Vazayil, Managing Director of Gargash, on increasing insurance penetration levels amongst Indian expatriates, catering to corporate clients, and competing against international companies. The solution to the nation's renewable energy requirement is literally beating down in abundance. And today, requisite investment in cutting-edge solar power has placed Dubai center-stage in the global green energy arena. TBY talks to Saif Humaid Al Falasi, CEO of ENOC Group, on its tremendous growth in the past decades, promoting sustainability, and the impact of Expo 2020. TBY talks to Christer Viktorsson, Director General of the Federal Authority for Nuclear Regulation (FANR), on the role of the institution in advancing the nuclear energy regulatory environment and the importance of an integrated network. TBY talks to Frank Ackland, CEO of Eaton Middle East, on its operations in Dubai, prioritizing safety in construction, and innovations in the sector. 3D printing will revolutionize sectors throughout the Emirates, decreasing costs and waste and increasing productivity across industries. TBY talks to Ferran Bueno, General Manager of Jotun UAE, on key accomplishments, the importance of its Dubai operations, and its focus on innovation. TBY talks to Tarek El Sakka, CEO of Dubai Refreshment Company (DRC), on the advantages of its new location, expanding the range of beverage options in the UAE, and its manufacturing and distribution capabilities. In an effort to further diversify the economy, Dubai has built an impressive aerospace industry, with ambitions that are literally out of this world. TBY talks to Mohammed Nasser Al Ahbabi, Director General of the UAE Space Agency, on setting up a sustainable space program, cooperating with international space agencies, and developing local astronauts. The Hope mission to Mars, set to be launched in 2020, is the first step of a broader, ambitious plan to build a city on the red planet in 2117. TBY talks to Mikail Houari, President for Africa &amp; Middle East of Airbus, on the role of the company in the UAE and wider region. Dubai has one of the top telecommunications setups in the world, allowing residents to be among the first worldwide to get access to new and disruptive technologies. TBY talks to Waqas Mirza, Managing Director (MENA) of Avanza Innovations, on the role of the company in financial sector. TBY talks to John Brash, Founder &amp; CEO of Brash, on the Dubai based companies along with his own brand. TBY talks to Hamad Al Mansoori, Director General of the Telecommunications Regulatory Authority (TRA), on working on the happiness of citizens, trends in digital government, and regulating the sector. TBY talks to Osman Sultan, CEO of Emirates Integrated Telecommunications Company (du), on disruptive technological developments, connectivity, and making “Smart Dubai” a reality. TBY talks to Majed Al Suwaidi, Managing Director of Dubai Media City, Dubai Studio City, and Dubai Production City, on synergies between the free zones and boosting content creation. Developing and embracing technologies such as blockchain, Internet of Things, cloud computing, and artificial intelligence has put Dubai in the driver seat to become the world's first smart city. In Dubai, smart innovations and technological solutions can be found virtually everywhere, including your local, unmanned police station. Whether it is cybersecurity, IoT, or AI, Dubai is ahead of the curve. Dubai's maritime industry has grown explosively over the past two decades. With the government and companies around the world devoted to its development, Dubai is well on track to be among the top-three ports in the world. TBY talks to Anthony Weller, Senior Vice President of Seacor Marine, International Division &amp; Managing Director of Seacor Offshore on offshore services. TBY talks to Keramat ShaHrokhi, Managing Director, Dark Blue Shipping on expansion of the company. TBY talks to Sultan Ahmed bin Sulayem, Group Chairman &amp; CEO of DP World, on using blockchain and AI to boost trade, developing cruise tourism, and performing better in a contracting market. TBY talks to Amer Ali, Executive Director of Dubai Maritime City Authority (DMCA), on the implementation of smart applications, Innovation Quay, and Dubai Maritime Virtual Cluster. TBY talks to Capt. Rado Antolovic, CEO &amp; Managing Director of Maritime Services Division DP World and CEO of Dubai Drydocks World (DDW), on producing cylinders for the UK's Atomic Energy Authority, helping Dubai become the world's cleanest city, and creating innovative vessels. Volumes at Jebel Ali decreased during the recent economic slowdown, but the Middle East's largest port has been busy undergoing significant expansion projects to ensure it can meet demand when Expo 2020 brings increased economic activity. The shipping and logistics industry in Dubai is nearing saturation and big players are using their well-established credibility to branch out into other sectors, especially finance. Already a global leader in transport, Dubai's portfolio of transportation projects is poised to make it a true city of the future. TBY talks to Abhishek Ajay Shah, Co-Founder &amp; Group CEO, RSA Global on the solar rooftop project. TBY talks to Mattar Al Tayer, Director General &amp; Chairman of the Board of Executive Directors of Roads &amp; Transport Authority (RTA), on the Parallel Roads Project, automated aerial taxis, and managing transport ahead of Expo 2020 Dubai. Dubai's automotive scene is slowly shifting to electric, pushing all market players to revamp creativity for an increase in market share. TBY talks to Geoff Walsh, Senior VP &amp; Country Manager of DHL Express UAE, on environmentally conscious delivery services, use of drones in logistics, and the UAE's e-commerce customers. As digitalization takes the center stage, logistics companies, especially in the UAE, are on the forefront to adopt everything digital. TBY talks to Fahed Abourshaid, General Manager of Extreme Express, on the growth and development of the company and the prospects for cross-border e-commerce in the GCC. Though sales are on the rise, prices are on the wane, a trend that is likely to continue at least until Expo 2020. Though fears of a protracted supply glut are not unfounded, the introduction of smart legislation is helping boost long-term demand in certain areas. TBY talks to Cornelia Kieferle-Nicklas, Managing Partner, Kieferle &amp; Partner on the Jewel of the Creek project. TBY talks to Nicholas Maclean, CEO of CBRE on the real estate market develop in 2018. TBY talks to Hussain Sajwani, Founder &amp; Chairman of DAMAC Properties, on AKOYA Oxygen Project, its growing international footprint, and the importance of a customer-centric philosophy. TBY talks to PNC Menon, Founder &amp; Chairman of Sobha Group, on Dubai's status as a commercial hub, the Firdaus Sobha project, and two-plus-two market cycles. As Dubai's real estate market faces steep competition, some companies are securing a bigger slice of the pie with their creative ability and alternate ideas. Dubai has long been a hub for luxurious properties, and some companies are now banking on innovation and uniqueness to stay ahead of the rising competition. Real estate developers are finding that the devil is in the details, especially when it comes to the market in Dubai, as a close look at the market reveals the importance of the middle-income, suburban segment for developers and overall stability. TBY talks to Yu Tao, President &amp; CEO of China State Construction Engineering Company (CSCEC), on building high-rise buildings, changing perceptions, and tackling challenges in the GCC market. TBY talks to Patrick McKinney, Area Director for the Middle East &amp; Gulf States of BAM International, on demand drivers, new trends, and positive industry indicators. Landmark projects and legislation, innovation, and Emiratization are transforming the construction industry. TBY talks to Balvinder Singh Sahni (Abu Sabah), Founder &amp; Chairman of RSG Group of Companies, on the state of the market, new and ongoing projects, and the risks of being a developer. Real estate development companies discuss the different opportunities and regulatory environments in Dubai and Abu Dhabi. Dubai claims the world's tallest building, and innovations in elevator technology will push Dubai's skyline to even greater heights. Dubai's healthcare sector is at the forefront of innovation, and with new regulations and an emphasis on research, the Emirate is going to be that much more advanced than its regional neighbors. TBY talks to Dr. Hafeez Rahman, Chairman of International Modern Hospital on Dubai's health sector. TBY talks to Elhadi Hassan, CFO of Moorfields Eye Hospital Dubai on the contribution of Moorfields Eye Hospital to the healthcare sector in Dubai. TBY talks to Humaid Al Qutami, Chairman of the Board and Director-General of Dubai Health Authority (DHA), on its initiatives in the areas of AI and 3D printing, his predictions for the sector, and its goal to promote research and investment. TBY talks to Dr. Ramadan AlBlooshi, CEO of Dubai Healthcare City Authority – Regulatory (DHCR), on the achievements of the DHCC, its competitive edges, and its efforts to boost medical tourism. TBY talks to David Hadley, CEO of Mediclinic Middle East, on progress regarding integration with Al Noor Group, medical tourism, and national health expenditure. TBY talks to Joe Henein, CEO of NewBridge Pharmaceuticals, on building brands, supporting SMEs in the region, and driving innovation. Healthcare in Dubai is internationally praised, with standards that are considered to be generally high, but costs may soon outpace willingness or ability to pay for such care. TBY talks to Majid Kaddoumi, Vice President &amp; Regional Managing Director of Medtronic, on Dubai's advantages, value-based healthcare, and meaningful partnerships. Technology can improve accuracy and efficiency within the healthcare system, a benefit for both patients and budgets. Education in Dubai has totally transformed in recent decades. With a strong emphasis on quality of education, the Emirate is becoming a regional leader. TBY talks to Dr. Abdulla Al Karam, Chairman of the Board of Directors &amp; Director General of Dubai Knowledge &amp; Human Development Authority (KHDA), on increasing supply to meet demand, investing in infrastructure, and driving innovation and entrepreneurship. Moral Education is breaking new grounds in Dubai's education system to encourage empathetic, well-rounded, and civic-minded students for a more inclusive society. TBY talks to Mohammad Abdullah, Managing Director of Dubai International Academic City (DIAC) &amp; Dubai Knowledge Park (DKP), on initiatives at DIAC, synergies within the education sector, and the latest trends. Higher education institutions are looking to put the UAE on the map—and at the top of education rankings—through innovative programs, collaborations, and research. Business schools in Dubai are developing the best programs to best serve the business community. International private schools are bringing education expertise and combining it with Dubai's culture and forward-looking, innovative perspective. Dubai has been wildly successful in establishing itself as the premier tourism destination. Offering some of the most innovative and world class products, the Emirate's success is poised only for growth. TBY talks to Issam Kazim, CEO of Dubai Corporation for Tourism and Commerce Marketing (DCTCM), on promoting Dubai's many layers, moving to next-level hospitality, and assessing the impact of Expo 2020. Improving its family-friendly tourism options is one of Dubai's priorities heading into Expo 2020, and the recent construction of two major theme parks should give the sector a needed boost.